Swalwell is only 38, which would make him the youngest person elected president if he wins in 2020. It also means that he was born the same year Mike Gravel’s career as a U.S. Senator from Alaska ended. Who is Mike Gravel? The other guy who just jumped into the 2020 POTUS race. Gravel was first elected to public office in 1963. He ran for president (for about 10 minutes) in 2008. Now he’s running, not to win, but to make it to the debate stage to help push the debate to the left– something a field featuring Bernie Sanders and Elizabeth Warren could certainly use. We’re currently at 19 announced candidates, with Joe Biden all but certain to enter the race. 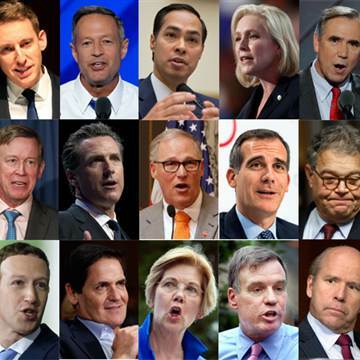 Assuming these candidates all make the Miami debate (and given the rules, there’s a good chance nearly all of them will) Democrats may have two nights of debate with 10 people on stage each night. It will be a real challenge for the DNC.